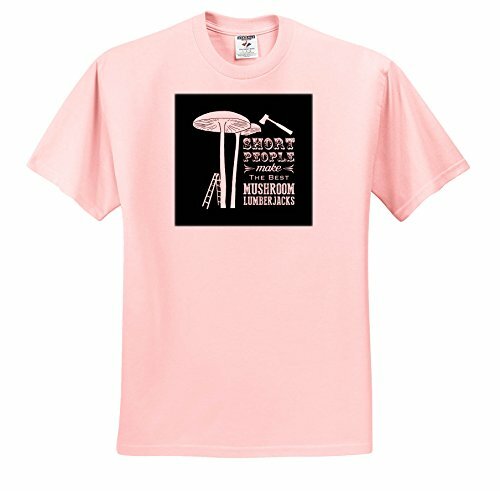 Short People- Funny Mushroom Lumberjack Design in White on Black T-Shirt is a great way to show off your true style. Adult and youth sizes are a 50/50 blend of cotton and polyester, toddler sizes are 100% cotton. All sizes are available in white, grey, light blue and pale pink and feature a custom printed image. Made in USA.